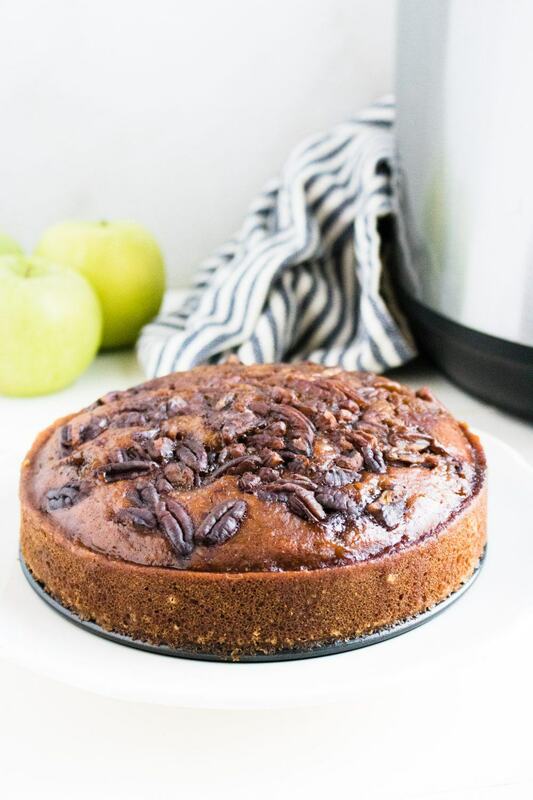 This Old fashioned applesauce cake is really easy to convert into a super simple Instant Pot Cake recipe, saving you time without sacrificing the flavor and goodness of an old fashioned cake recipe. 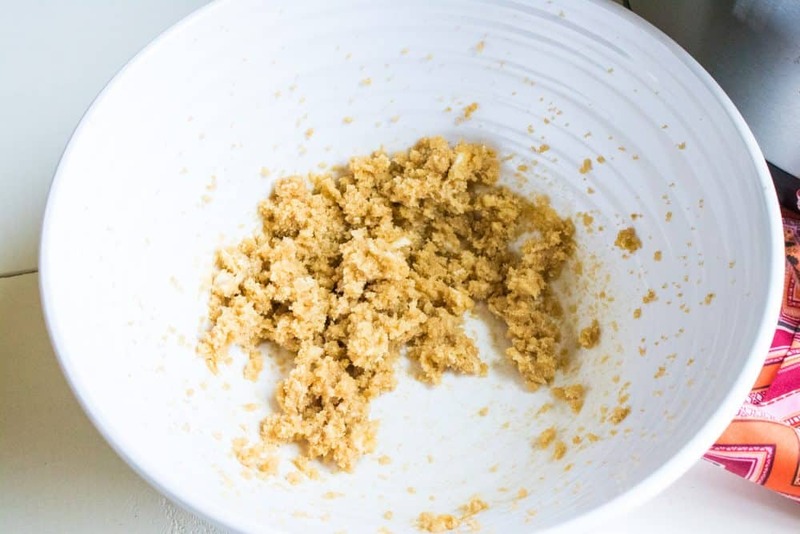 Learn how to make your own moist applesauce cake using this time saving method. I love whenever I find a tried and true apple recipe that I can add to my apple recipe collection and enjoy all year long. 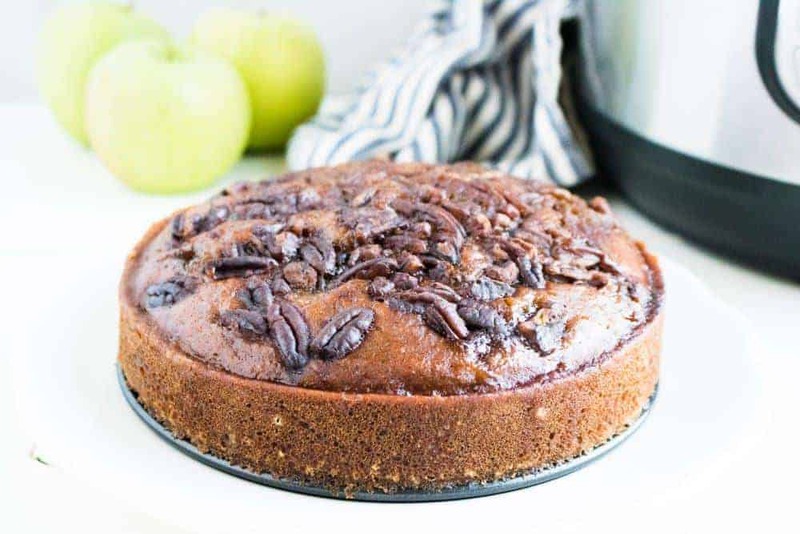 This applesauce cake recipe is the perfect apple dessert for the fall season, but it also doubles as a delicious apple breakfast treat as well which you can enjoy all year long. 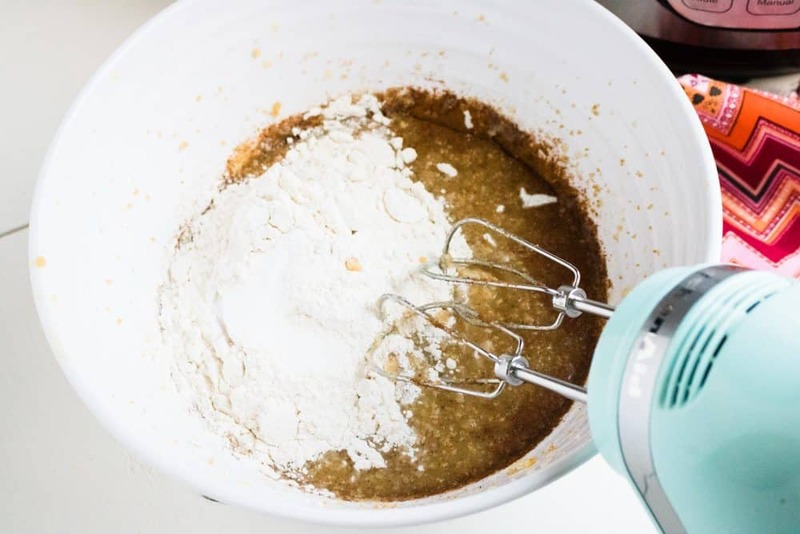 Once you try this old fashioned applesauce cake recipe you will want to make it all the time. 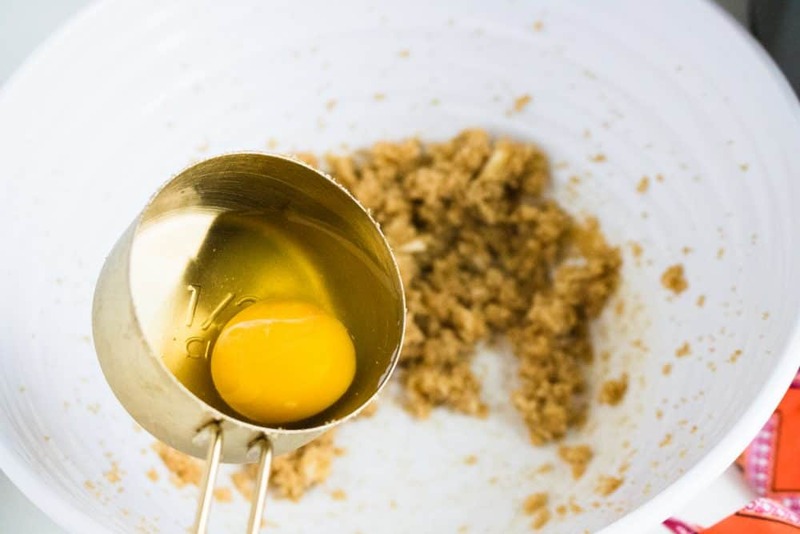 Mix together 2 tablespoons brown sugar and pecans. 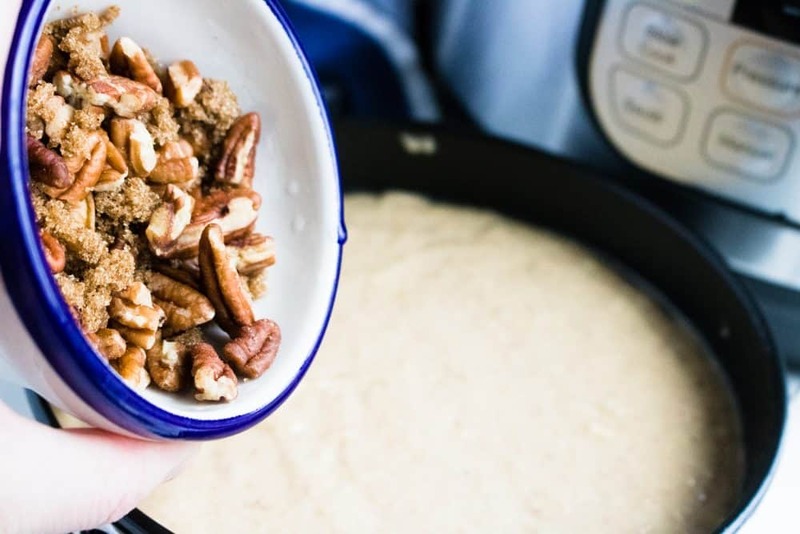 Spread this pecan mixture over the top of the batter in the springform pan. 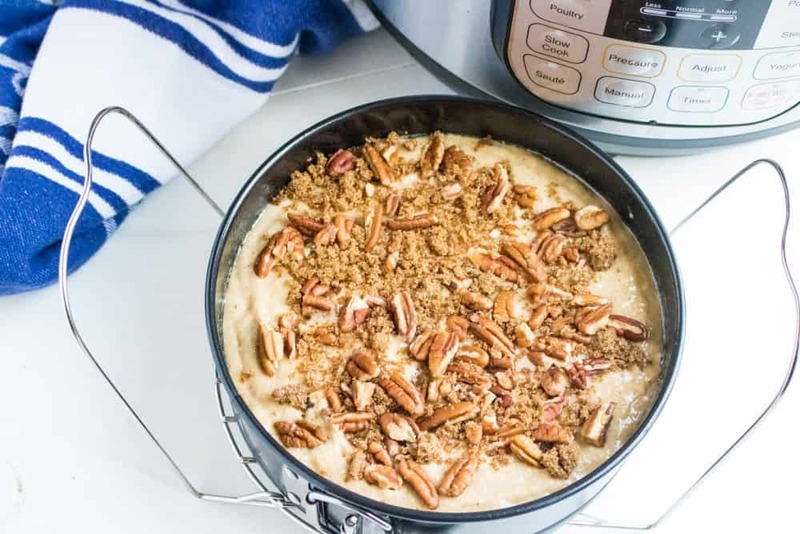 Top applesauce cake with aluminum foil and place the springform pan on Instant Pot trivet . 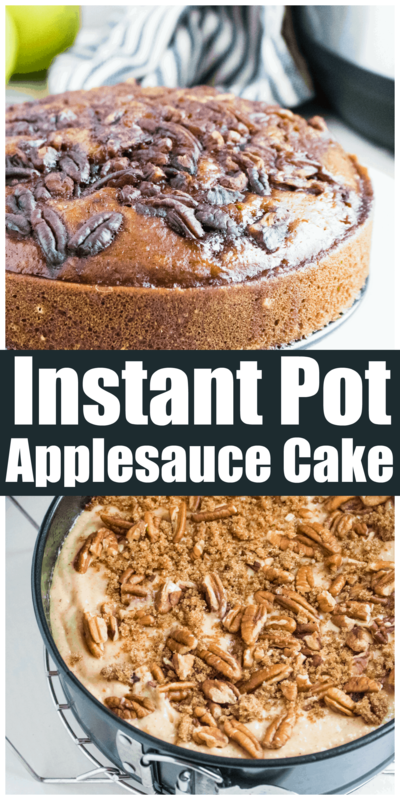 Old fashioned applesauce cake is really easy to convert into a super simple Instant Pot Cake recipe, saving you time without sacrificing the flavor and goodness of an old fashioned cake recipe.